Of Me, Myself and I: Hello April. A quarter of the year gone. Spring! Or err..it's forever the same here in Malaysia - sun and rain throughout the year. Ngeh. Oh, Happy Easter to those who are reading this. (Very late wish but then better late then never :B). Easter is about..
Oh now I'm telling you that THIS empty tomb is what that shows that HE LIVES. Father Lord sent His one and only Son to die on the cross for us, and was buried in a tomb. 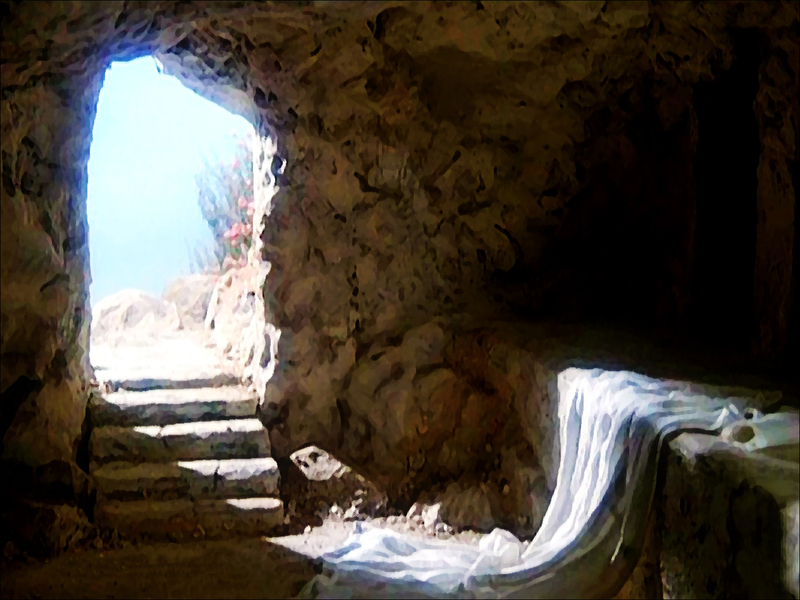 The third day he rose from the dead, proving to us that HE is the Son of God, the long awaited Messiah. I missed Easter service for the first time of my live. Why? Because I followed a bunch of MAD people (whom I love to the max) ALL the way to Kuala Pilah for a surprise birthday party. You know who you are MAD people. Yeah my frans from UTAR. "Crazy people all the way from PJ take train to KL take bus to Seremban take bus to Kuala Pilah = 3 hours journey." But the 3 hours journey seems to pass by so quickly when we're all laughing. All those tiredness are forgotten when you cried tears of surprise and tears of joy. And yes we were all touched too. Pop quiz! Do you know what is famous at Kuala Pilah..? Answer: Water terrapins! TT___TT HURRRRR HOW COULD YOU PEOPLE EAT TURTLES. Fran's mother even scolded us for not eating terrapins LOL. Is God more important or your friends more important? Hehehh that's all for this update!